This medication is used alone or with other medications to prevent and control a certain type of seizure (absence or petit mal seizure). It works by controlling the abnormal electrical activity in the brain that occurs during a seizure. Take this medication by mouth with or without food, usually once or twice daily or as directed by your doctor. Dosage is based on your age, medical condition, blood levels of ethosuximide, and response to treatment. For children, the dosage may also be based on their weight. It is very important to follow your doctor's dosing instructions exactly. Your doctor will start you on a low dose and slowly increase your dose. It may take several weeks or months to reach the best dose for you and to get the full benefit from this medication. Use this medication regularly in order to get the most benefit from it. To help you remember, use it at the same time(s) each day. 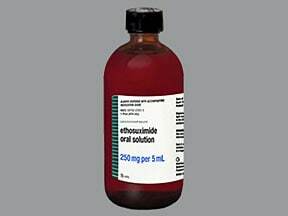 What conditions does Ethosuximide treat? Drowsiness, dizziness, tiredness, headache, stomach upset, loss of appetite, nausea, vomiting, weight loss, diarrhea, or loss of coordination may occur. If any of these effects persist or worsen, tell your doctor or pharmacist promptly. Get medical help right away if you have any very serious side effects, including: fainting, aching swollen joints, severe tiredness, easy bruising/bleeding, rapid breathing, signs of liver problems (such as nausea/vomiting that doesn't stop, stomach/abdominal pain, yellowing eyes/skin, dark urine), signs of kidney problems (such as change in the amount of urine, pink/bloody urine). List Ethosuximide side effects by likelihood and severity. 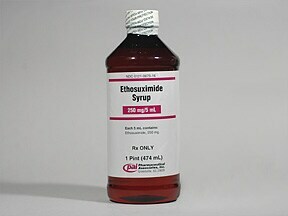 Before taking ethosuximide, tell your doctor or pharmacist if you are allergic to it; or to methsuximide; or if you have any other allergies. This product may contain inactive ingredients, which can cause allergic reactions or other problems. Talk to your pharmacist for more details. Before using this medication, tell your doctor or pharmacist your medical history, especially of: liver disease, kidney disease, mental/mood disorder (such as depression, psychosis). Liquid products may contain sugar and/or alcohol. Caution is advised if you have diabetes, alcohol dependence, liver disease, or any other condition that requires you to limit/avoid these substances in your diet. Ask your doctor or pharmacist about using this product safely. What should I know regarding pregnancy, nursing and administering Ethosuximide to children or the elderly? Tell your doctor or pharmacist if you are taking other products that cause drowsiness, including alcohol, marijuana, antihistamines (such as cetirizine, diphenhydramine), drugs for sleep or anxiety (such as alprazolam, diazepam, zolpidem), muscle relaxants, and narcotic pain relievers (such as codeine). If someone has overdosed and has serious symptoms such as passing out or trouble breathing, call 911. Otherwise, call a poison control center right away. US residents can call their local poison control center at 1-800-222-1222. Canada residents can call a provincial poison control center. Symptoms of overdose may include: slow/shallow breathing, severe drowsiness, loss of consciousness. Laboratory and/or medical tests (such as ethosuximide blood levels, complete blood count, kidney/liver function) should be performed periodically to monitor your progress or check for side effects. Consult your doctor for more details. It is important to take each dose at the scheduled time. If you miss a dose, take it as soon as you remember. If it is near the time of the next dose, skip the missed dose and resume your usual dosing schedule. Do not double the dose to catch up. Store at room temperature at 77 degrees F (25 degrees C) away from light and moisture. Brief storage between 59-86 degrees F (15-30 degrees C) is permitted. Do not freeze the liquid form of this medication. Do not store in the bathroom. Keep all medicines away from children and pets. 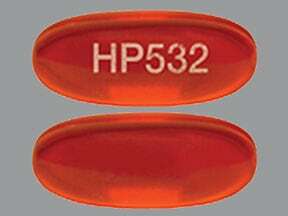 This medicine is a orange, oblong, clear, capsule imprinted with "HP532". 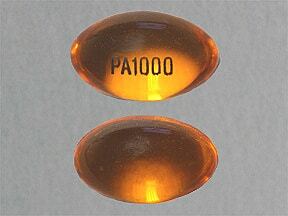 This medicine is a orange, oval, translucent, capsule imprinted with "PA1000". 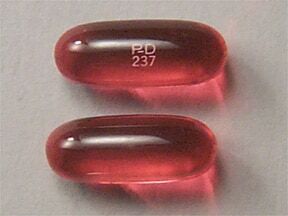 This medicine is a orange, oblong, translucent, capsule imprinted with "PD 237". 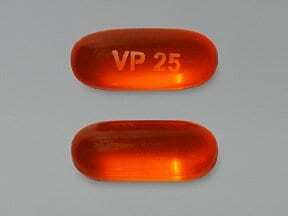 This medicine is a orange, oblong, capsule imprinted with "VP 25". 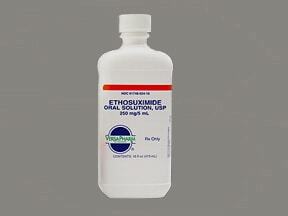 Are you considering switching to Ethosuximide? 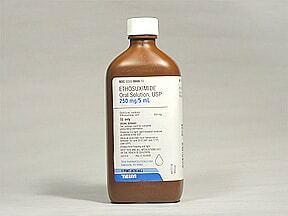 How long have you been taking Ethosuximide?